The Miami Carnival happens each year on the Sunday before Columbus. The first Miami West Indian Caribbean Carnival was produced by the West Indian American Day Carnival Association (WIADCA) on October 13, 1985. 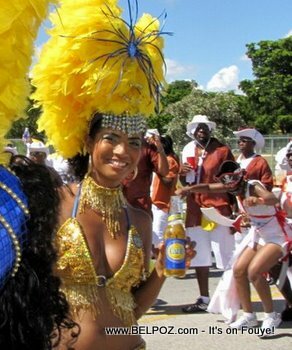 There has been a West Indian Caribbean Carnival in Miami every year since then. There has been many Caribbean carnivals attempted in south Florida by the West Indian American Day Carnival Association (WIADCA), the South Florida Carnival Bandleaders Association, The Caribbean American Carnival (CAC), The Caribbean Association of South Florida (CASFI), United Miami Carnival Management Committee (UMCMC), and Miami Carnival Inc. (MCI), Broward Carnival Inc. (BCI), and Broward Caribbean Carnival Inc. (BCCI). In 2009, representatives of Miami Carnival Inc. and Broward Caribbean Carnival Inc. came together as the Miami-Broward One Carnival Host Committee Inc. (MBOCHCI) to celebrate 25 years of Miami Carnival in the City of Miami, on Sunday October 11, 2009.